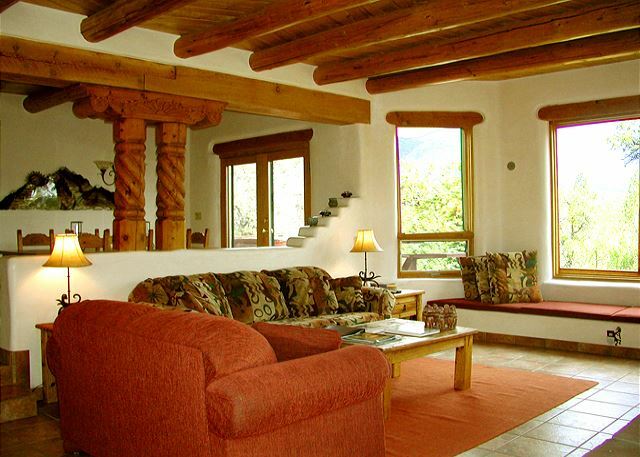 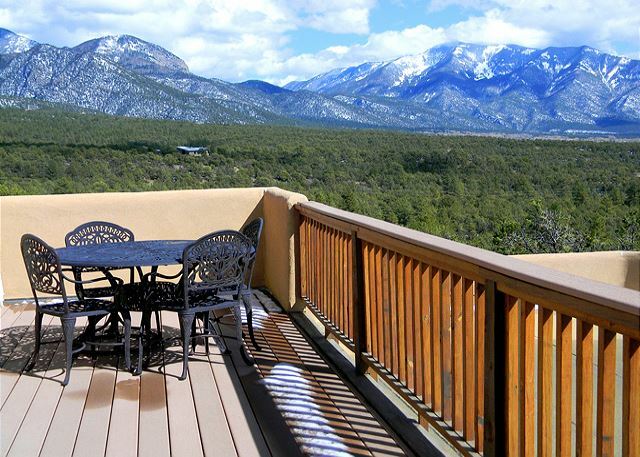 Casa Vistas, one of Taos Premiere Properties very private and secluded Taos vacation rentals boasts Million Dollar views and total peace and tranquility. 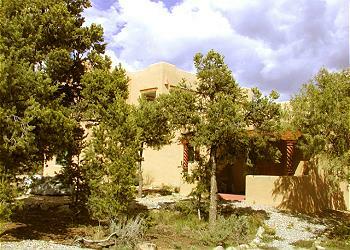 There are nearby neighbors shielded by tall pines. Built in 1999, this classic adobe three-bedroom, two-bath home is the epitome of charm and artfully-stated elegance. 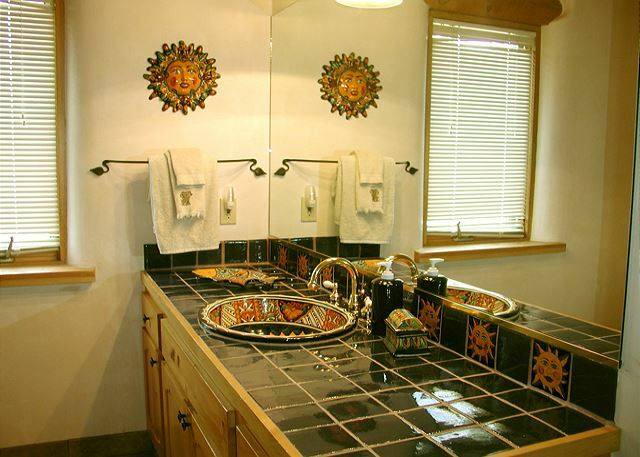 New, sparkling clean, and made of all natural authentic materials, the floors are handsome Mexican saltillo terra-cotta tile, the ceilings are natural aspen tongue-and-grove supported by traditional wood vigas. 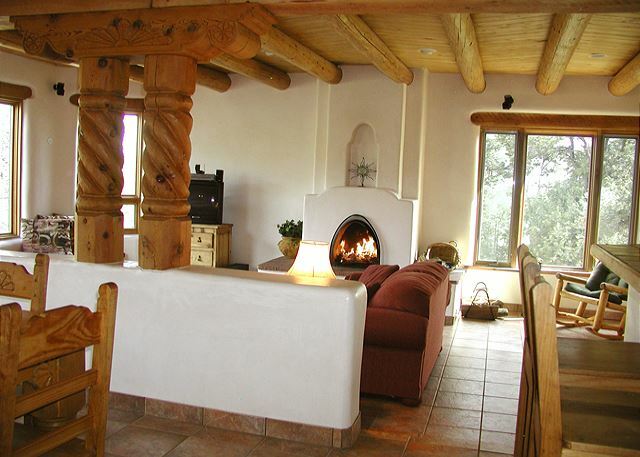 The interior walls feature soft, flowing, rounded plaster lines with a lovely sculptured kiva fireplace in the living room. 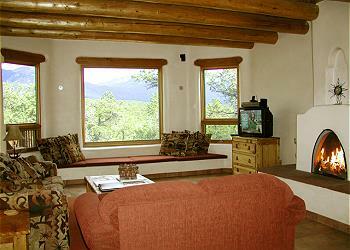 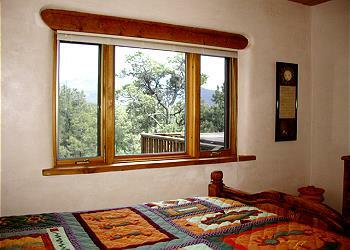 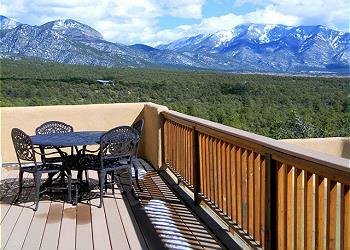 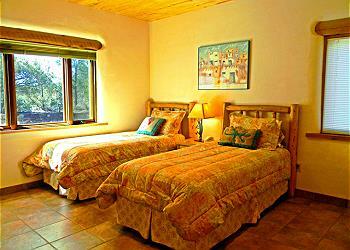 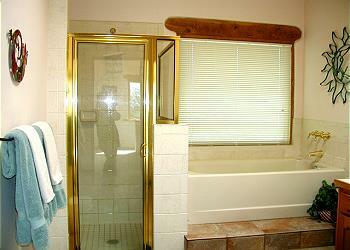 Huge picture windows admit lots of light, winter warmth, and spectacular views of the Taos Mountain Range. 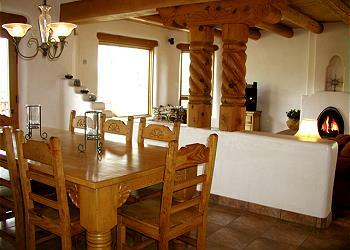 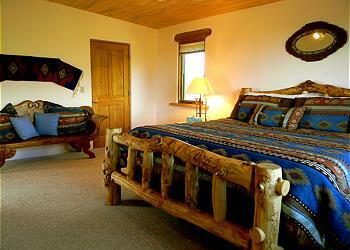 The furnishings are tastefully southwestern. 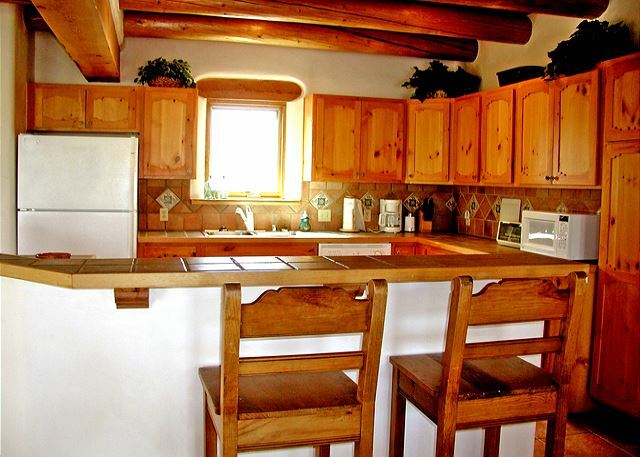 A cheerful and complete kitchen with breakfast bar has custom cabinets, Italian tile, and is fully equipped for all your cooking needs. 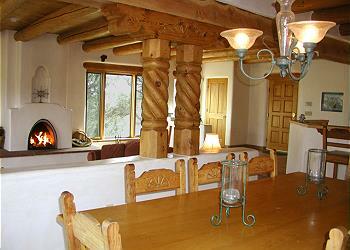 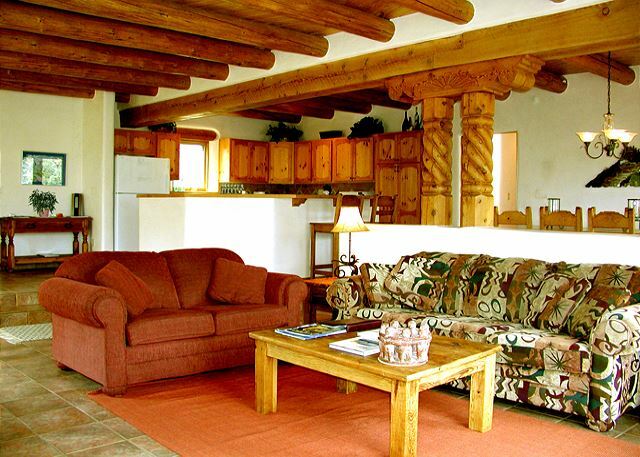 Located between town and Taos Ski Valley, this exceptional location brings you up close to nature. The area is known as Deer Mesa due to the frequent sightings of deer and elk. 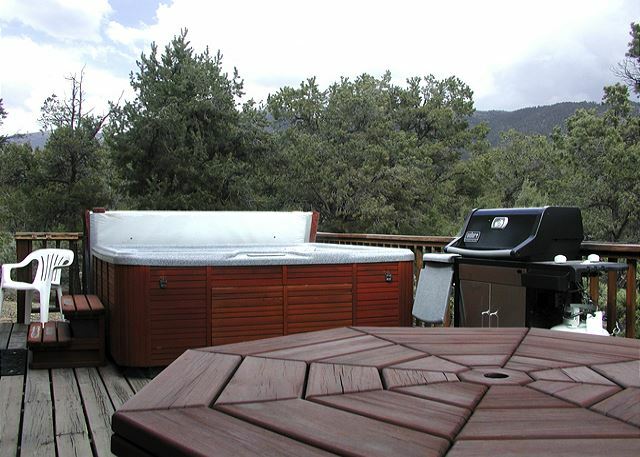 The property overlooks the one million acre Carson National Forest (see top panorama) and is surrounded by mature pinion, pine, and juniper trees. 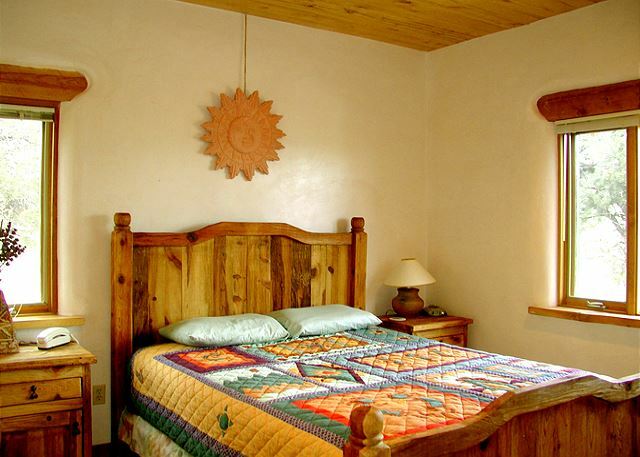 For guests concerned with summer temperatures - which are always moderate with only 8 to 10 days in the upper 90's and one or two days at 100. "Two upstairs bedrooms have ceiling fans, most windows have sun shades. 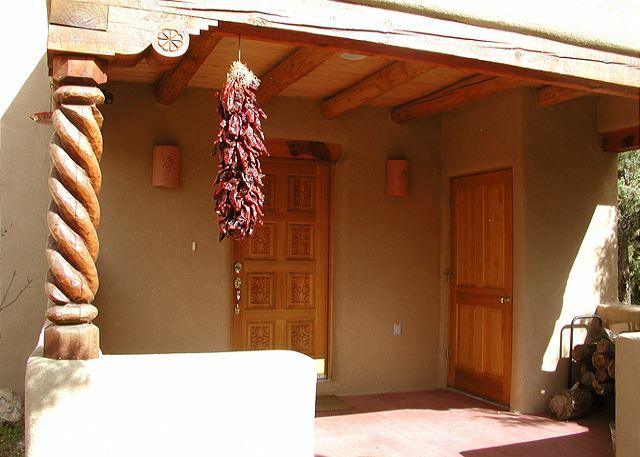 1) Exterior walls are 14 inch think adobe walls which provide a 12 hour delay between the days heat and nights cool temps reaching the interior of the house and provides a large thermal mass. 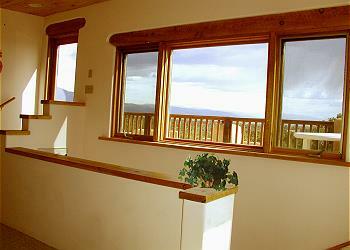 2) South windows have an overhang which allows winter sunlight in to warm the interior while shading the higher summer sun. 3) East and west facing windows use a special heat mirror glass that rejects the sun's radiant heat while letting visible light in. I've been in the house when the outside temperature was 100 degrees and felt very comfortable." 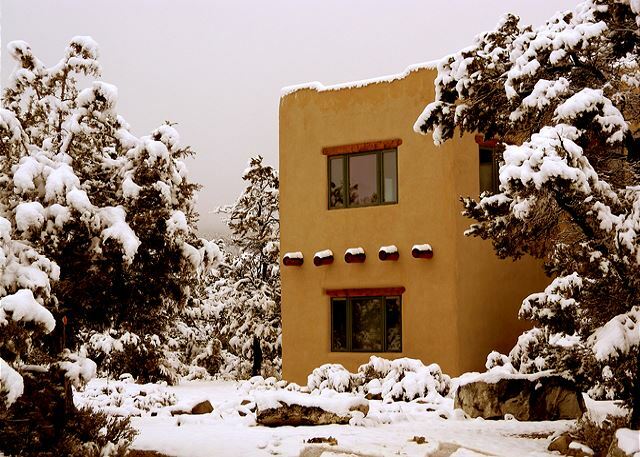 From Premiere: "All of Taos keeps their windows open at night to allow cool air to build and close / cover windows during the day to keep the cool temps going and hot air out. Works like magic. 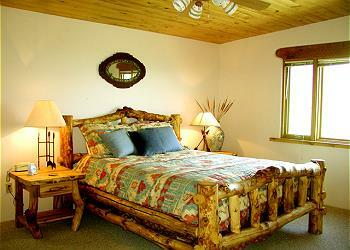 4 wheel or chains required for 2 gentle 20 degree short slopes that can be the last to be plowed on snowy days.